At its most basic, an external flash (often branded either as a speedlite or speedlight) is simply a way to bring more light to your photography when you need it, without opting for much bulkier (and costlier) studio lights. A good flash does much more than that, however, letting you aim the light in different directions to bounce it off of ceilings or walls for a softer effect, or even trigger it remotely to achieve more creative lighting angles. But flash photography can appear to be prohibitively expensive for those just looking to get started with it — if you’ve been shopping around for a flash for your camera, you may have noticed prices surpassing $ 500 for first-party models (while high-end units from name-brand lighting manufactures can be almost twice that). Fortunately, a number of budget manufacturers have stepped up to the plate to deliver lower-cost flashes that, in some cases, match the first-party models for features and power. Here are four worth considering. Want a premium flash without the premium price? The Godox VING V860II TTL offers advanced features found on flagship models from Canon and Nikon but at a fraction of the cost. 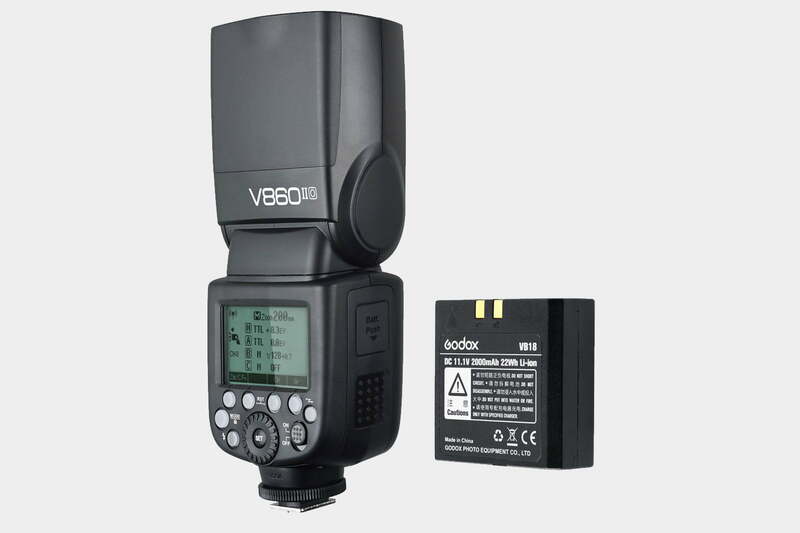 This $ 179 flash is a great way to get into advanced off-camera lightning techniques thanks to its built-in radio transceiver, which can both control and be controlled by other V860II flashes (Godox also sells a standalone transmitter which can be bundled with the flash for under $ 220 total). In addition to its wireless controls, the flash features a unique rechargeable battery so you can finally say goodbye to AAs. It boasts a fast 1.5-second recycle time and can fire 650 flashes at full power, while the fully articulating flash head is useful for bouncing light. With a guide number of 197 feet (at ISO 100 and 200mm zoom setting), it has plenty of reach to illuminate subjects at long range. It is available for Canon, Nikon, Sony, Fujifilm, Olympus, and Panasonic cameras and offers through-the-lens (TTL) metering for automatic flash exposure. It is also compatible with high-speed sync, letting you shoot beyond the normal flash shutter speed limitations of your camera. The AmazonBasics Electronic Flash is, as the name implies, very basic — but at less than $ 30, it’s hard to beat. Its guide number is just 33, so it won’t have the reach of the more powerful Godox, but its rotating and tilting flash head, built-in diffuser, and eight adjustable brightness levels allow for good control over the light output. Amazon says it works with both Canon and Nikon cameras, but in manual mode it should work with most any camera. The flash even includes an integrated optical slave mode for triggering multiple units at once, so long as you have a master unit attached to your camera and a clear line of sight to any remote flashes. If you need something more robust than Amazon’s basic offering but can’t splurge for the Godox, this model from Yongnuo might be what you’re looking for. The YN 560 IV is a solid iteration of what was already an impressive flash for the value, being the fourth generation of the model. Inside the YN560 IV is a wireless triggering system that works alone or hand-in-hand with Yongnuo’s collection of radio transmitters, thus helping to create a wireless lighting setup that doesn’t rely on fickle, line-of-sight-based optical triggers. The flash still lacks TTL metering, so you’ll need to rely on manually adjusting the power — but fortunately, in the days of guess-and-check digital photography, this isn’t too hard. With a guide number of 58, you should be getting a good deal more power over the cheaper Amazon flash, as well. Neewer has made its name known with an excellent lineup of affordable lighting gear. Found online as low as $ 60, this external flash features built-in 2.4GHz wireless triggering and comes bundled with a wireless transmitter. Other features include TTL metering with Canon cameras (check out the Neewer VK750 II for Nikon compatibility), high-speed sync, rear-curtain sync, and high-speed bursts at lower power levels. Compared to the Godox, it has a shorter guide number of 190 feet, a longer recycle time of 3 seconds at full power, and its zoom range tops out at just 105mm, but whether used alone on your hot shoe or in conjunction with other flash systems, you’ll be hard-pressed to find a more capable flash at this price point.